Beyond his profession, Dr. Austin is a very active part of his community. One of his accomplishments is starting a “free” dental clinic as part of the Anderson Free Medical Clinic in 1991. Dr. Austin has been recognized with a number of awards, the prestigious “Pointing the Way” award and most recently the “Fifteen over Fifty” award for community leadership. Dr. Matthew Pray graduated in 2008 with honors from Southern Illinois University School of Dental Medicine. Upon graduation, Dr. Pray worked in a private practice outside of St. Louis. Dr. Pray joined our practice in 2009 when he relocated to Anderson, with his wife Jenny to be closer to family. Dr. Pray strives to provide quality comprehensive dental care in order to satisfy each patient’s individual dental needs. Dr. Pray continues to attend educational classes and seminars in order to stay on top of a continually changing profession and better serve his patients. He looks forward to building lasting relationships with patients as he works with each one to maintain a healthy mouth as a part of a healthy body. Dr. Pray is a member of the Rotary Club of Greater Anderson, where he is currently serving as past President and member of the board. He is a proud supporter of the Anderson Free Clinic, where he is also a volunteer. In his free time, he enjoys spending time with his wife Jenny, and daughters Maggie, Cecilia and Alexandra. His hobbies include training for running races. Watch out for him on McDuffie Street! Tanya Looney, Patient Financial Coordinator, has been with our dentists in Anderson, SC since 2000, and is trained in all areas of billing, collections and insurance. When not busy with those work tasks, Tanya enjoys spending time with her husband, Bobby and their 4 children Colton, Carlee, Morgan and Christian. Andrea Landers, Patient Treatment Coordinator, joined our practice in 2017. She brings with her over 12 years front office experience in the dental field. When not at work, Andrea cherishes spending time with her husband, Neal and their 2 children Kody and Jordan. 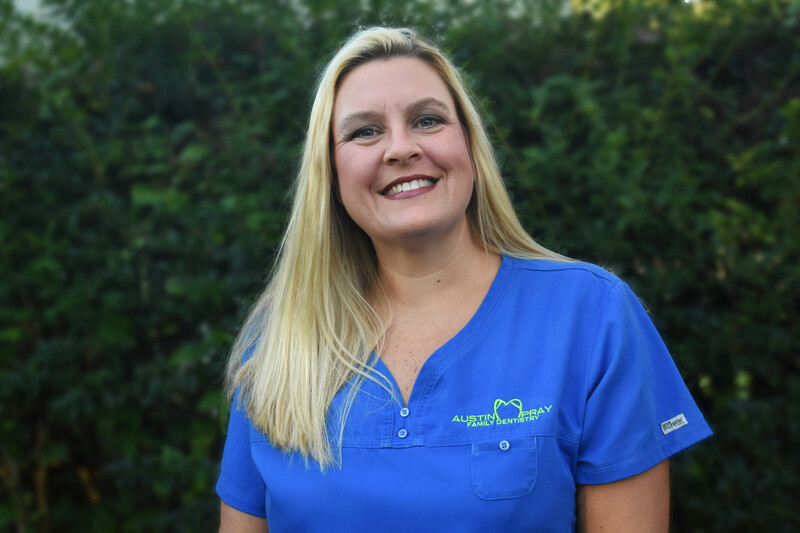 Christie Fuller, RDH, is a Registered Dental Hygienist who graduated from Greenville Technical College, Greenville, SC in 1994 with an Associate Degree in Dental Hygiene. 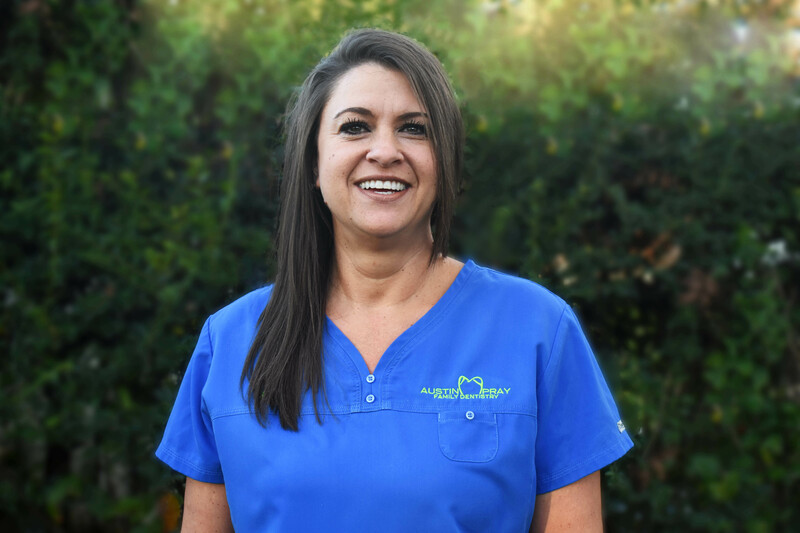 She joined our dentists in Anderson, SC in 1995 and is certified in nitrous oxide monitoring and infiltration anesthesia. During her free time Christie enjoys spending time with her husband, Daniel, and their two boys, Joshua and Adam. Janet Kay, RDH, graduated in May of 2014 from Greenville Technical College. She received her Associates Degree in Applied Science with a major in Dental Hygiene, she is also certified in nitrous oxide monitoring and infiltration anesthesia. She is married to her husband Travis, and they have two daughters, Kylee and Kinsley. During her free time, she enjoys spending time on the lake and going to Clemson games with family and friends. Emerald Nixon, RDH, graduated from Greenville Tech in December 2000 with an associate degree in Dental Hygiene. She is also certified in Infiltration and Nitrous Oxide. Emerald has worked in Pediatrics for over 16 years. She joined our practice in 2017 on a part time basis. During her free time, Emerald enjoys spending time with her husband Jason, son Noah, and their 2 fur babies, Ozzy and Boomer. She also enjoys reading and running. Renne Thomas, CDA, is a Certified Dental Assistant who completed the Dental Assisting program at Tri-County Technical College, Anderson, SC in 1993 and received her certification by the Dental Assisting National Board. She is an expanded functions assistant and certified in nitrous oxide monitoring. Renne has been employed by Dr. Austin since 2003. Renne fills her free time with her husband, Ned, sons, Brett and Chandler and grand-daughter Izzy. 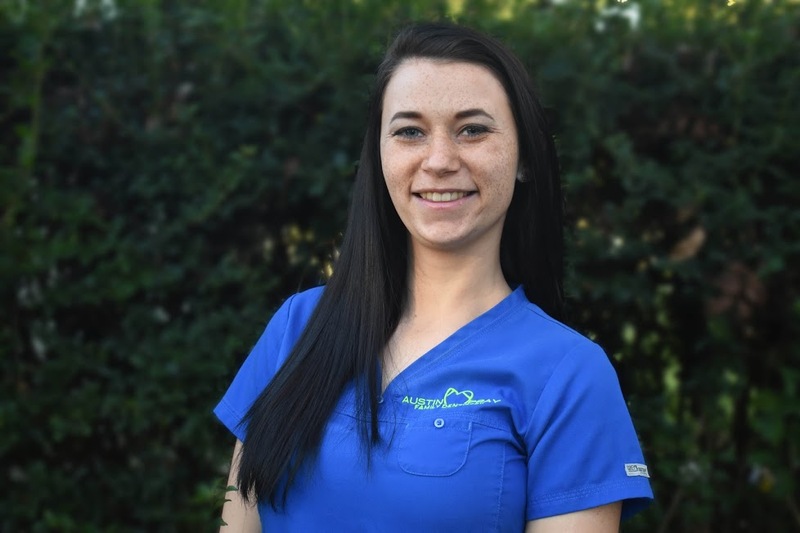 Felicia Christian, CDA, is a Certified Dental Assistant who completed the Expanded Duty Dental Assisting program at Tri-County Technical College, Pendleton, SC in 2010. She is an expanded functions assistant and certified in nitrous oxide monitoring. Felicia has been employed by Dr. Austin and Dr. Pray since 2010. When not at work, Felicia spends time with her husband Chase, and three children Morgan, Cali, and Caleb. Paige Scott, CDA, completed the Expanded Duty Dental Assisting program at Tri-County Tech in 2017. She is an expanded functions assistant and certified in nitrous oxide monitoring. Paige joined our team in 2017. In her free time she enjoys spending time with her boyfriend, Justin and their families.